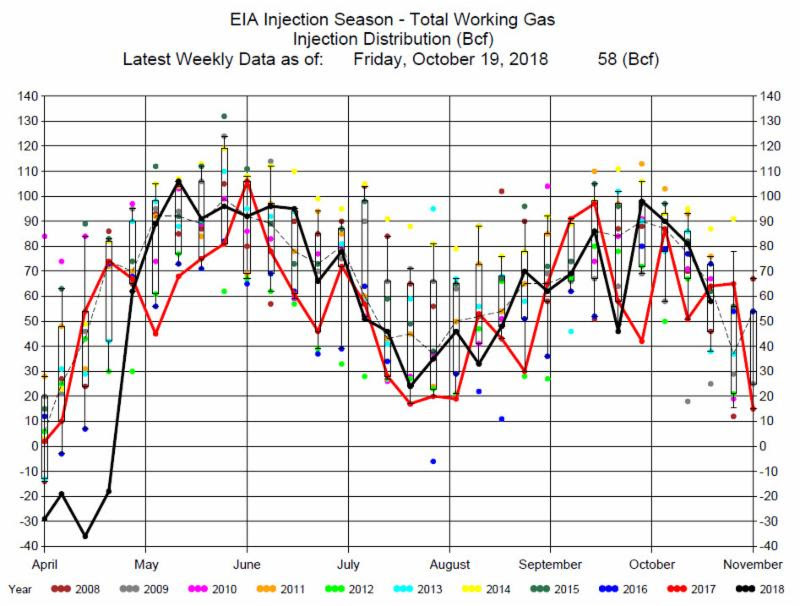 The EIA reported a 58 Bcf Injection for the week ending October 19, 2018. 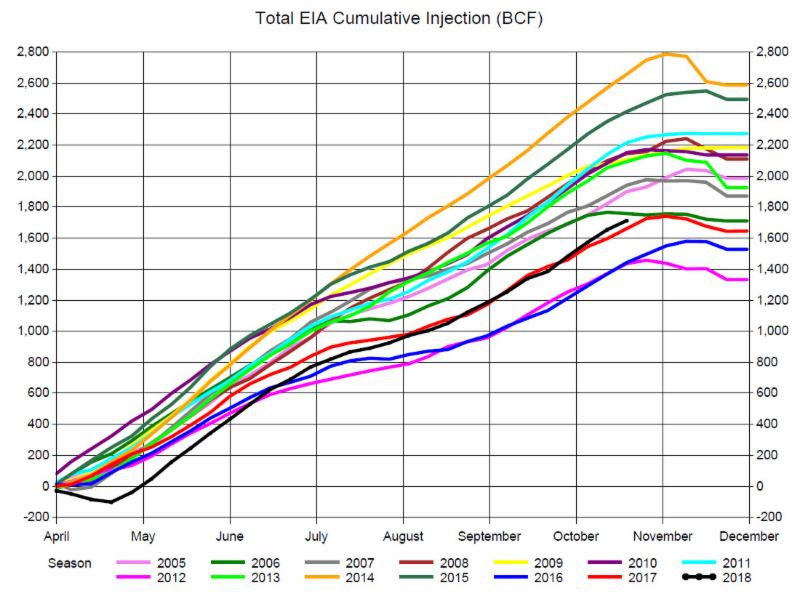 The injection was near the average, 60 Bcf, for this week of the year, and greater than the average of expectations of an 52 Bcf injection. Expectations had a range from a 35 Bcf injection to a 59 Bcf injection. Prices initially rallied with the release of the report but fell back during the day, ending the day basically unchanged. Prices have been range bound since the beginning of October between $3.10 and $3.35. 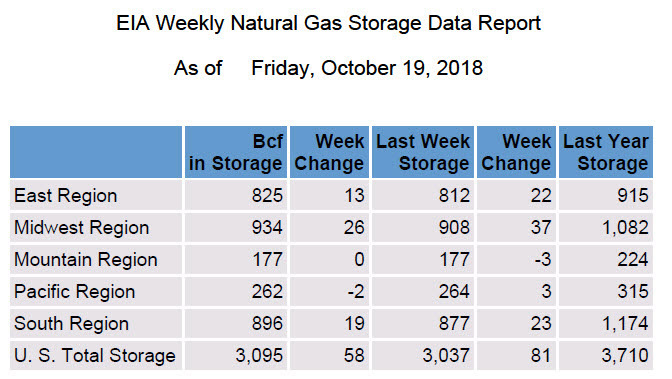 With only two or three weeks remaining in the Injection Season storage will get close to 3,200 Bcf. This will be the lowest storage level in the last 12 years. Despite the low storage levels prices are still range bound. 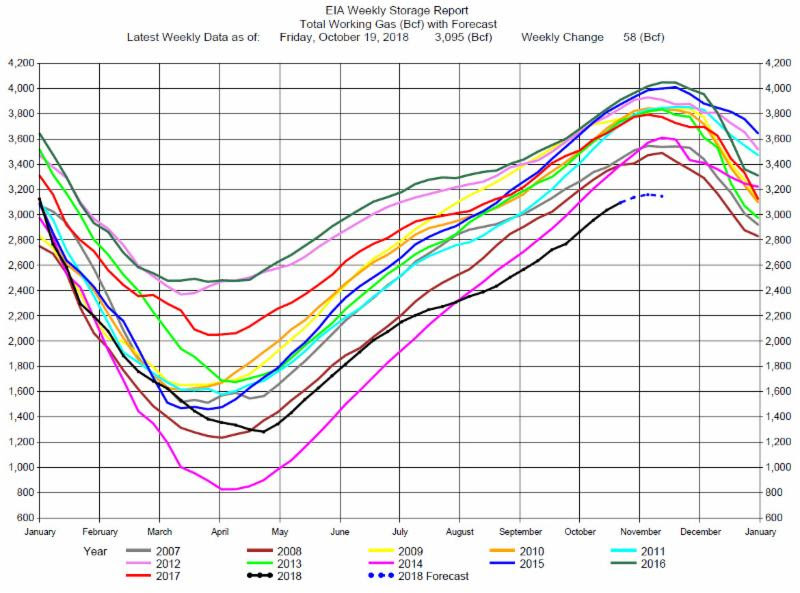 We now need to observe the storage levels and price reactions to the weather at the beginning of the Winter Season in early November before we can make recommendations regarding price direction.